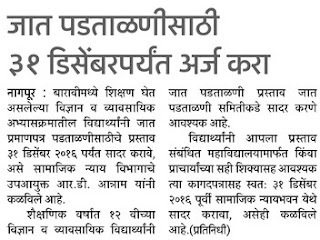 Maharashtra Cast Certification Or cast Validity Certification Applications should be submit upto 31st of Dec 2016. As the 12th Or HSC Students are always required this document for further educations. Its really Important Documents for the Graduate & PG Education.